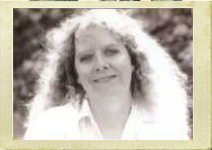 I am very pleased to announce Helen Hollick as the third author in the Top Historical Fiction Author Series. In a recent survey of 805 individuals, readers ranked Ms. Hollick in the top 20 favourite historical fiction authors. I recently read Forever Queen and was fascinated with the historical setting – how do you discover all those details from such a long ago time? – and with the story’s fast paced action and vivid characters. Please use the comments feature if you have questions for Helen. Why do you write historical fiction? I think because I feel linked to the past – after all, we were all there in the past weren’t we? Well, our grandmothers’ grandmothers were! I think a little bit of “memory” passes down with the DNA, and sometimes we feel the tug of that long, long, long link that binds us together. You are clearly very skilled at writing historical fiction. What do you think attracts readers to your books? Thank you. I think the passion I feel for my characters comes across in my writing. I fell madly in love with Arthur (Pendragon’s Banner Trilogy), cried buckets when I had to write the final scene for King Harold – and as for my pirate, Jesamiah…. gosh I love that guy! Do you have a particular approach to research and writing? I research the facts first, usually from primary and secondary sources, making notes as I go, then I plan out a rough synopsis based around the facts of the period – a bit like planning a basic route for a journey. I add in the secondary route – the made-up bits, and make notes of any secondary plots etc. When I start writing, though, my characters often take me by surprise for I find myself writing scenes I had not planned. I also keep a note book about my characters – jotting down every detail about them: hair, eye colour, any scars, or foibles. Their parents, grandparents, date of birth – enjoyments, dislikes etc. And I keep every notebook; you never know when you might want to look something up again – or maybe write a spin-off story. Have other writers of historical fiction influenced you and, if so, how have they influenced you? Rosemary Sutcliff. I love her stories. (I have nearly a complete set.) When I’m stuck, or despondent, or going through that “why am I doing this silly job” feeling, I read one of her books. Her use of language is awesome. I try to deliberately plan it – but I’m never quite sure where some of the characters will take me – especially my Pirate. He has a distinctive mind of his own. How do you select new stories to tell? I don’t. They find me. Any disadvantages? It is hard work keeping all the threads together – remembering something that happened in book one, and ensuring the continuity stays true in book four. It is also difficult trying to think up new adventures, keeping the impetus and excitement going (and the believability!) I enjoy the challenge, though. What techniques do you employ to write productively? Self-motivation? I’m not very good at that. It is so easy to get distracted by Facebook, or Twitter… and I hate writing of a morning, my brain just does not function before noon, so that is when I answer my e-mails, update my marketing etc, then set to work of an afternoon. I write best at night – I have a theory that most people are in bed then, so there is more imagination to go round. What do you do to connect with readers? Facebook and Twitter mostly. I love chatting and “meeting” new people on line. I have so many friends scattered all around the world now – such lovely people! What do you know about your readers? Some love my books, some don’t. Some like descriptive battle scenes, some don’t. Some like in-depth facts, some don’t… in other words I can’t please everyone who may, or may not, enjoy my books. So I please myself. I write my books for me, because they are the sort of books I enjoy reading. What data do you collect about your readers? I don’t. Although I do take note of constructive criticism – I don’t always follow it, but if someone has a point, I take it. For example, if someone suggests I should not have my Jesamiah Acorne in quite so much trouble, I take the criticism on board. If someone says I should not be so descriptive when writing battle scenes, I don’t… that’s the way I write, and if a battle is included, it is there for a reason. And battles were not nice things in the first place. What strategies guide your writing career? I add something to my Facebook page every day, Tweet every day, blog when I can. “Being noticed” is so important to a writer – but not to the point of being a bore. I do not “talk” about my books that much. Maybe I will mention a character, I will link to one of my books, but I chat about lots of other things as well – my daughter’s horses and her side saddle riding, my cats, my dog. I learnt the hard way, when I was dropped by Random House UK, that no one is going to do your marketing for you, and the best way for your books to get noticed is to be noticed first as a person. What would you do differently if you were starting again? I would insist on better covers. Some of my early ones were ghastly. Do you have any advice for writers of historical fiction? Write what you want – not what others want you to write. In conjunction with my UK editor, Jo Field, I have a ‘tips for writers’ little book on Kindle, called Discovering the Diamond – especially useful for writers thinking of going Indie published. There are do’s and don’ts, technical, and practical advice. I published it on Kindle because I found myself answering the same questions from new writers over and again. It is written very much from the “been there, done that” point of view. Is there a question you would like to answer that I haven’t asked? Well, I suppose it would be what are you going to write next? I have a fourth Sea Witch Voyage coming out very soon –Ripples In the Sand, and I have been changing my mind like a weather-vane in a high wind as to what to write next… I have had several ideas, none of which have really galvanised me with enthusiasm. But I feel quite keen to do a spin-off series based around my King Arthur Trilogy about an ex-cavalry officer called Madoc. Madoc the Horseman…. So many interesting ideas to ponder. Readers will be delighted to know that new books are coming. Writers will be keen to sample Discovering the Diamond. I, for one, am delighted with the notion that you write at night because there is more imagination to go around! 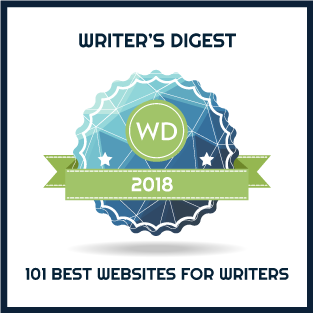 Thank you so much for inviting me onto your blog – and I’m stunned to be in the list of most popular authors – absolutely thrilled! Thank you to everyone who voted for me. My thanks to you, Helen. Delighted to have your insights! Great story, Geri. Helen was very generous with her time when I asked for her interview. Thank you for those kind words – and it was my pleasure Geri – I’m always more than happy to help new writers where and when I can. related video or a related picture or two to get readers interested about everything’ve got to say. In my opinion, it would bring your website a little livelier. Great ideas, Stefan. Thanks for being blunt and for visiting.